On Oct. 7, a graduate of The University of Texas at Dallas was named a recipient of the 2015 Nobel Prize in Chemistry. 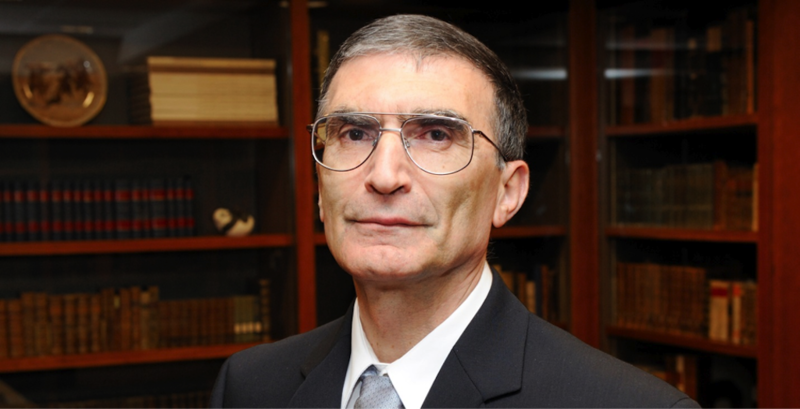 Dr. Aziz Sancar, who earned his PhD in molecular and cell biology from UT Dallas in 1977, is one of three scientists who received the Nobel Prize for their work detailing how cells monitor and repair damaged DNA on a molecular level. The Nobel Prize is a crowning achievement in the career of any scientist, and we are immensely proud UT Dallas played a key role in Dr. Sancar’s extraordinary success as both a scientist and a teacher. Dr. Sancar’s achievement exemplifies the catalytic effects and long-term exponential returns that investment in higher education can generate. The innovations, inventions and discoveries that students and faculty create in the environments of great research universities provide profound benefits for the larger human community that are of incalculable value. In the 1960s, the visionary founders of Texas Instruments recognized that Texas needed highly educated minds if the state was to remain competitive. "To grow industrially, the region must grow academically," they wrote at the time. "It must provide the intellectual atmosphere which will allow it to compete in the new industries dependent on highly trained and creative minds." 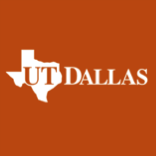 With that as the impetus, they created a research-based institute in North Texas that in 1969 became UT Dallas. It was infused with the right “DNA,” that of high scholarly standards. One of its initial programs was, literally, in the newly emergent field of DNA research, the field which the then-graduate student Aziz Sancar and his professor, Stan Rupert were pursuing. Throughout our university’s history, these standards have been the key to attracting outstanding faculty and students. The exceptional growth in our enrollment and faculty numbers in recent years, accomplished with these same and even higher standards of excellence, are driving the growing external recognition for UT Dallas and its programs. Our name and our location benefit from the international reputation of Texas and Dallas, and from our historical and still-dynamic links to Texas Instruments. We have an optimum mix of academic offerings for today's world, with programs in science, management, engineering and computer science rapidly moving to international prominence. As it has accelerated along this path of growth and increased stature, UT Dallas has partnered with government and industry, and engaged in the pursuit of support through private philanthropy. Many of these endeavors directly support exceptional students. For example, UT Dallas benefactor Margaret McDermott has sustained the vision of her husband, TI founder Eugene McDermott, first by endowing the Eugene McDermott Scholars Program, which provides professional and cultural development, leadership opportunities and rigorous personalized education for highly selected undergraduate students. More recently, Mrs. McDermott provided a new gift to endow a corresponding program for graduate students, the Eugene McDermott Graduate Fellows Program, funded by her gift in combination with matching funds from the State of Texas through the TRIP (Texas Research Incentive Program). This new program recruits and prepares outstanding doctoral students – perhaps the next Aziz Sancar – for careers in research that will support academic activities and professional development. Our focus and our fundamental strengths are well aligned to propel UT Dallas into the ranks of the best public research universities in America. History shows that corporate interest goes hand in hand with great research universities, a synergy that in turn spurs job creation and drives innovation in technology, medicine and engineering. Dr. Aziz Sancar chose to pursue research at The University of Texas at Dallas because he wanted to work alongside international experts in the then-emerging field of DNA repair, taking the first steps on a path that lead him to the Nobel Prize. His achievements are momentous for UT Dallas and embody the university’s longstanding emphasis on academic and scientific excellence. He may be the first of our alumni to win the Nobel Prize, but we expect he won’t be our last. Hobson Wildenthal is President ad interim of The University of Texas at Dallas.